What is it to be a Hong Kong poet writing now? Specifically, a Hong Kong poet who grew up over the border in Guangdong, who has lived also in Beijing; whose poems register the pull of other cities from Lhasa to Paris, and the pull of China not only as a literary inheritance all the way back to Zhuangzi, but also as a geopolitical giant changing daily even as Hong Kong itself changes? For Liu Waitong, it means to be accompanied always by ghosts. But it means also to seek them out and keep them company in turn — to haunt with them. Working through questions of displacement, citizenship, and competing visions of Hong Kong’s and China’s future, Liu’s poems insist that a careful attention and receptivity can be revolutionary. For Liu, that attention is what we owe our pasts and each other. 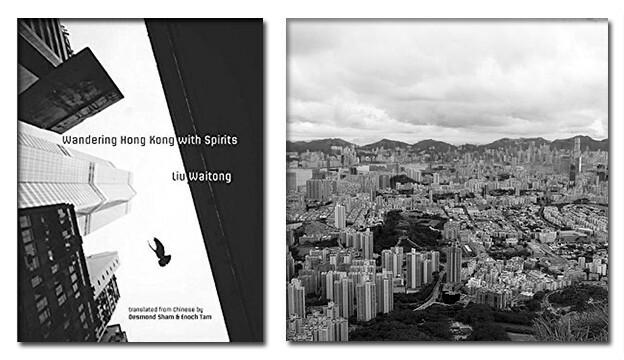 Wandering Hong Kong with Spirits is the first collection of Liu’s work in English, after eleven poetry collections published variously in Hong Kong, Taiwan, and mainland China over the last two decades, as well as several volumes of essays, fiction, and photography. 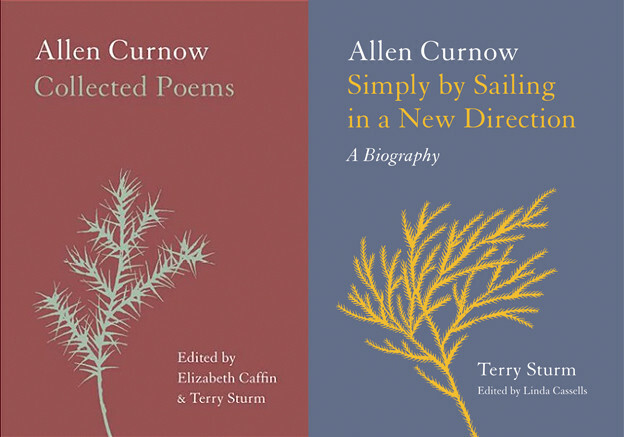 The book’s namesake is his 2008 collection published by Kubrick Books in Hong Kong, though the English volume is a selection of poems across books rather than a translation of that book in particular. The choice of title is apt for this bilingual introduction to the work of one of Hong Kong’s foremost poets and public intellectuals. burning an elegance carried within. Today we have lost China. for your footprints. I even asked a cat for directions. I have a beautiful wife on another island. But the moment can’t last, and when it disappears, so does the poet, very nearly; someone exits the house, interrupting, and the poem ends on the line, “I’m silent as a dog whose scent has been washed away by rain” (68). Liu is known as an allusive poet, in conversation not only with his Chinese poetic forebears but with international literary history and politics. “In Time of Peace” is an homage to Auden’s “In Time of War,” even nodding directly in its first section to Auden’s and Isherwood’s travels in China. In “A Seaside Graveyard: Three Poems,” as Liu wends through Hong Kong’s WWII-era literary landscape, he alludes not only to Hong Kong’s Repulse Bay Hotel, where Eileen Chang’s Love in a Fallen City is famously set, but also to Hölderlin and to Rocinante, Don Quixote’s horse. “Charlie on Temple Street,” a poem characteristically grounded in the details of a specific Hong Kong neighborhood, is subtitled “Or: are we the Taxi Driver?” and Robert De Niro’s character inhabits the poem as fully as Charlie and the poem’s speaker do. Yesterday’s protests are written across my body, the protests became a poem. The act of writing itself, of course, is saturated with the politics of language; that’s true anywhere, but true of Hong Kong in unique ways. Hong Kong’s dominant local language, Cantonese, is a minority language. As Beijing gradually chips away at Hong Kong’s political independence, so Mandarin becomes more pointedly an agent of soft power. Because a poem written in traditional Chinese characters can be read aloud in Cantonese or in Mandarin, to assert that a given poem is Cantonese is to make a political distinction that will be received differently in Hong Kong or in Taiwan than in the PRC. Liu has said that some of his poems are written in Cantonese and some in Mandarin. Which poems these might be, and how that may inflect their meaning for various Chinese-language audiences, will be mostly lost on English-language readers. But then, English in Hong Kong is political, too, and the several translators of this volume have made some choices that English-language readers are more likely to apprehend. Hong Kong’s English has its own idiom distinct from, though drawing on, the many other Englishes which circulate in the city: British, American, Canadian, Singaporean, Filipino, Australian. Rather than translating into what Lawrence Venuti would call “smooth” English, Liu’s translators have brought his poems into Hong Kong’s particular ever-evolving idiom. A good example is “Poem for the Universe’s Prostrating-Walk,” whose epigraph explains that the poem is about a protest against the mainland–Hong Kong Express Rail Link. The 2010 “walk” in question was modeled on the Tibetan mode of protest more often translated as a “prostration march.” But Hong Kong’s English-medium news sources, as they covered that local protest and others, used the term “prostrating-walk.”  It is a Hong Kong English word, not these translators’ invention. Another example is the word “stroller” in the line quoted above from “The Missing.” American readers are likely to first imagine what British readers would call a pram, but here, “stroller” is the nominalization of the verb “stroll,” and because of the influence of British English, it’s unlikely that a Hong Kong reader would think of babies or wheels rather than a walking person. The Atlas project’s choice to translate into Hong Kong’s English is an inherently political decision, and is neither a given nor an accident. This “Doomsday Poem” imagines its apocalypse not as an end, but as a radical, voiding renewal experienced in the company of the beloved. It’s a grand elegy — this book is full of them — but at the same time it’s a delightful, almost carefree, love poem. And this doubleness is one of the most appealing elements of Liu’s poetry; throughout these poems, in their dark observations of China’s and Hong Kong’s and the world’s politics, in their mourning for lives marked by those politics, Liu’s faith in poetry and in poets is a steady, full-hearted through line. 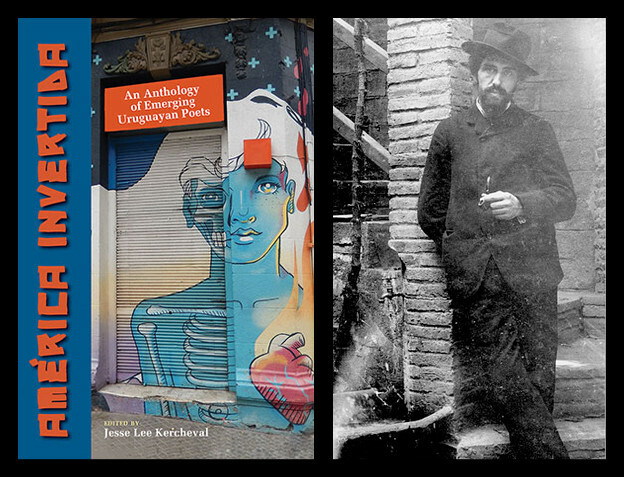 Poets still “find clues in books of sand” and “recite poems without words … lithe and graceful” even if they have become “non-existent.” Even after the end of the world, what poets do is haunt: they mark time, they remember, they conjure the power of language to animate and to attend. And always, they keep company with others and the world. 1. Liu Waitong, Wandering Hong Kong with Spirits (Hong Kong: Zephyr Press and MCCM Creations, 2016), 51. 2. It’s important to note that the question of censorship is a complicated one; Hong Kong’s publishing industry is small and governed by fairly strict obscenity regulations. A manuscript may have a better chance at publication in the much bigger, and in some ways more open, publishing market of the mainland. Hong Kong writers are astutely aware of factors ranging from censorable content to market forces, which make a book more or less publishable in each market, as well as in Taiwan. Like Liu Waitong, many writers publish in all three. His poem “The Missing” has, in fact, appeared online in the PRC — minus its epigraph. I owe thanks to two other Hong Kong writers, Lee Chi-leung and Dorothy Tse Hiu-Hung, for their insights here. 3. Like the question of publishing markets, the significance of Mandarin versus Cantonese is complicated. For one thing, Mandarin is Taiwan’s language as well as the PRC’s — Mandarin isn’t always coming from the mainland. Some characters are unique to Cantonese, and if a poem uses those, it’s identifiable as a Cantonese poem, but not all poems may feature those characters. The boundary between languages is often not clearly visible, and as Hong Kong–based translator and scholar Lucas Klein points out, sometimes the only way to discern which Chinese a given Hong Kong poem is written in is to ask the writer (Lucas Klein, “‘One Part in Concert, and One Part Repellence’: Liu Waitong, Cao Shuying, and the Question of Hong Kong and Mainland Chinese Sinophones” [forthcoming, Modern Chinese Literature and Culture, Fall 2018]). 4. Liu Waitong, “The Translator and the Translated,” spoken remarks, November 4, 2014, Hong Kong International Literary Festival, The University of Hong Kong. 5. An example: Time Out Hong Kong. See this open-access essay by Steve Kwok-Leung Chan of SIM University Singapore for a detailed account of the recent history of Hong Kong prostrating-walks. 6. For a sample of the playfulness with which Hong Kong English can interact with Cantonese, check out Kongish Daily.